Irish Car Bomb - AoM: Beer et al. 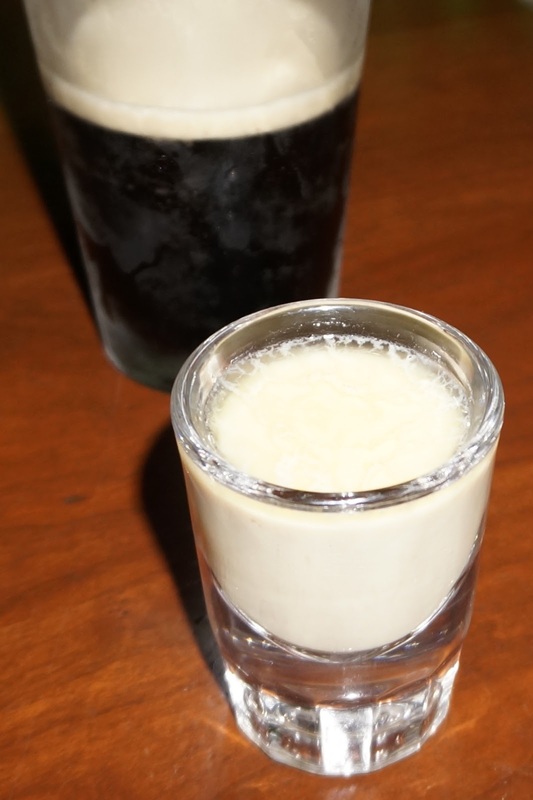 The Irish Car Bomb is a bomb shot where a shot glass filled with equal parts (Jameson) Irish whiskey and (Baileys) Irish cream is dropped into a pint glass filled with half a pint of (Guinness) stout and drunk quickly. 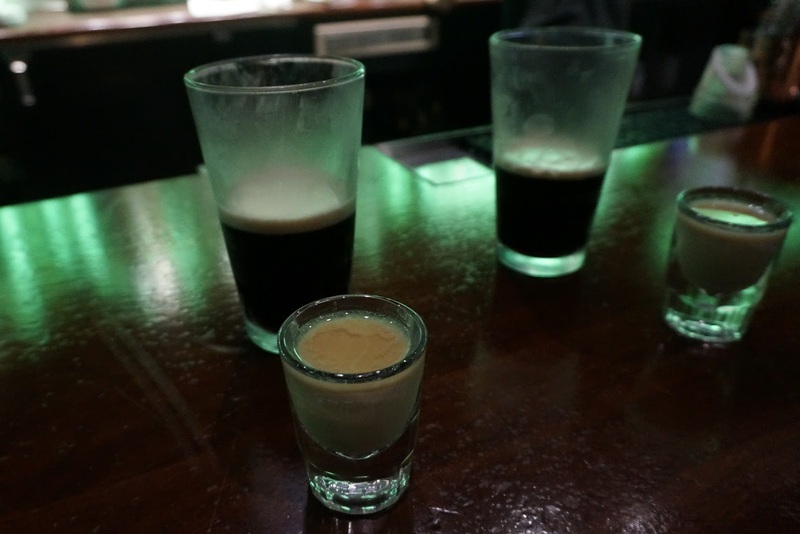 Both fun and tasty, I specifically recall having an Irish Car Bomb on three occasions (20090710=1st, unknown date, 20131231), and it's highly likely I've had one on one or two other occasions as well. On the second of the three occasions, there were only so many bottles of Guinness and so a friend (D.P.) and I were planning to share. After dropping the shot glass down, I would drink some, then she would drink some, and so on - or at least something to that effect. However, I recall she lacked beer guzzling abilities, and at some point, I ended up drinking what remained. Next thing I knew, she looked at me and asked me where the cup went. Er, how 'bout them Baltimore Ravens? 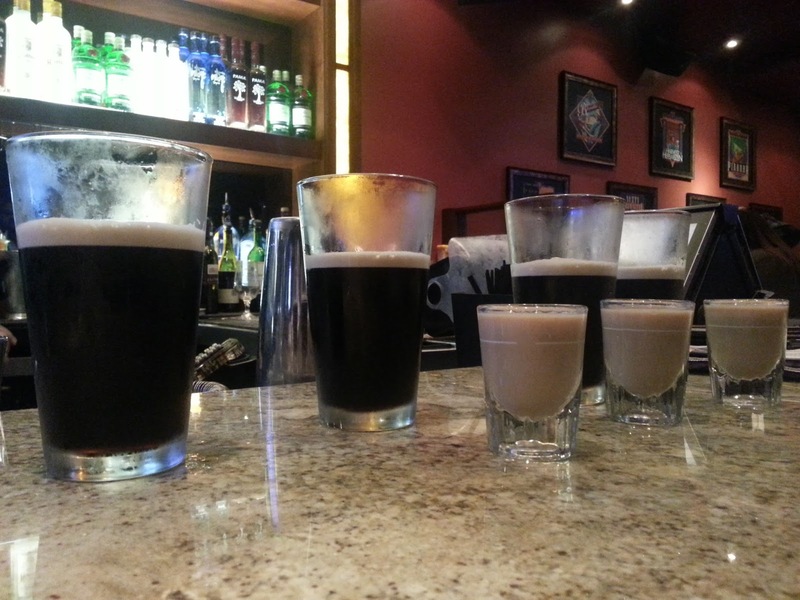 Irish Car Bomb at Dave and Buster's. After finishing our Moscow mules, Josh and I headed back upstairs to the bar and ordered ourselves some Irish Car Bombs. However, like the Patron, the experience went by so quickly that I could only note having enjoyed the creaminess and that the drink overall was good. Actually, another thought that crossed my mind after completing the drink was whether or not Kahlua was an ingredient. After looking through various articles online, it would seem that the short answer is no. However, the long answer is that it may have originally included Kahlua and there are bomb shots being made that include Kahlua. 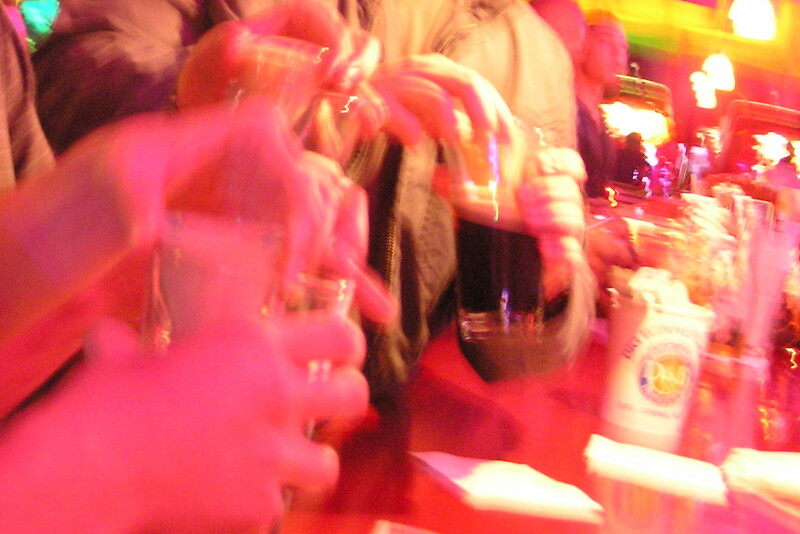 The contents of the shot glass would resemble the following: 1/2 oz. 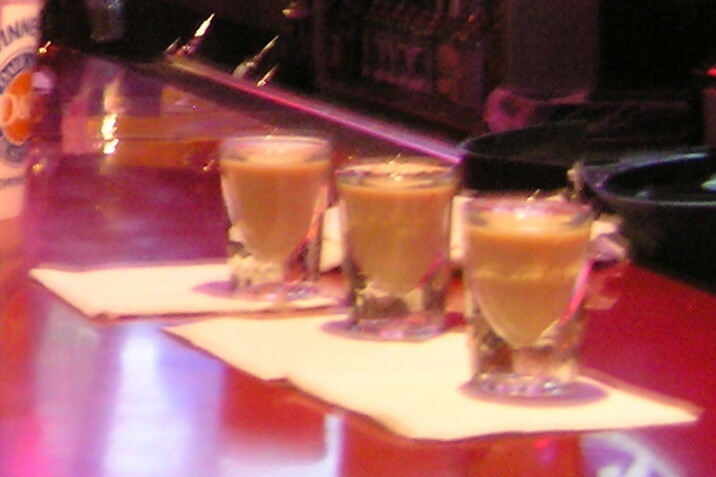 Baileys, 1/4 oz. Kahlua, 1/4 oz. Irish whiskey. While on the topic of ingredients, I saw suggestions regarding Carolans Irish cream as a stronger substitute for Baileys and Murphy's Irish Stout as a lighter substitute for Guinness (and supposedly the original stout of choice for the drink). In any case, similar to following the shots of Patrón with the Moscow mules, we followed the Irish Car Bomb with some Bird Dog Whiskey.